Wrestle Kingdom was released on July 20th, 2006 in Japan for the PS2. In many ways this is the first "Americanized" Puroresu game as it strayed away from the path that King of Colosseum and Firepro had taken. 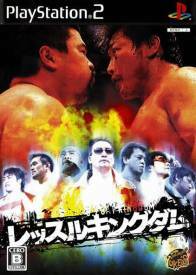 This is one of the first puroresu games I personally played, and at much expense as I eventually opted to just get an imported PS2 to play the game. Final Thoughts - Some things this game did really well, and other things it bombed. First, the good things. The graphics are great, and while the look takes a match or two to get use to as the player movements look a bit weird at first I'd say that Wrestle Kingdom is the prettiest wrestling game I have played. The controls are really easy to pick up and learn, so if you are in a college setting or will have a lot of different people over for a quick game, Wrestle Kingdom is perfect in that regard. There is very little learning curve to be good enough to be competitive as long as you aren't playing someone that has mastered the game. The bad things out-weigh the good things, however. The Drama Mode is not ideal for me, as I like doing modes with normal wrestlers, not ones I have to create. The lack of tournaments or other options is inexcusable as well. 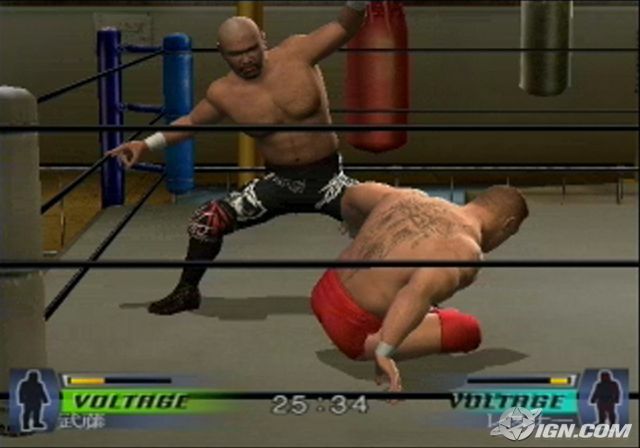 The moves available were disappointing as were the number of wrestlers when comparing it to other recent wrestling games. If you want a wrestling game that is fairly simple and has the latest wrestlers, then pick this up. Otherwise, get King of Colosseum 2 or Firepro Returns.